From time to time we’ll be confronted with early signs of the flu or colds despite our best efforts to live in robust health. But in many cases, the onset of full-blown symptoms can be prevented by giving your body what it needs to heal itself, and there are many natural, holistic and homeopathic alternatives to do so. For immediate detoxification and restoration of your body’s electrolyte balance, you should initiate a foot-bath or hand-soak immediately after feeling the first signs of weakness and achiness using two wonderful products, the Medi-Body Bath and Medi-Body Soak. I would recommend having both products on hand as we enter the winter months. You simply mix 12 cups of hot water with one cup of Medi-Body Bath and one cup of Medi-Body Soak, and you should experience an immediate relief of your symptoms. We use a simply Zyto scan to zero in on exactly what your body needs—you can come into my office for the Zyto scan or, if you’re located remotely, you can purchase a hand scanner and we can go through the same process over the phone with the Zyto hand scanner software running on your computer. It’s important to nip things in the bud before sickness has a chance to take root in your body. Remember, untreated or suppressed flu symptoms can lead to pneumonia and suppression is precisely what happens when we take over-the-counter pharmaceuticals to cover up symptoms. You want to flush out the garbage—find a way to release the toxins from your body so you can get well again. The right amount of this super-nutrient is necessary and boost immunity if you want to prevent or mount a defense against colds and viral challenges to your body. Vitamin D pulls calcium from the intestines, inserting it into the blood stream to support immunity at a genetic level. Vitamin F then transports the calcium to the tissues, which glues the cells together to prevent virus penetration. Three things deplete calcium: stress, sugar and insufficient levels of Vitamin D. Low calcium levels triggers acidic PH levels in your body, which make it vulnerable to sickness. Germs melt like wax in the presence of garlic. There is simply no way for germs to live in the presence of the anti-viral, anti-bacterial and anti-fungal properties found in this wonder-herb. Raw garlic has natural phyto-chemicals and natural broad-spectrum antibiotics to support your immune system and should be consumed daily. Store-bought tablets tend to be useless because garlic contains an active ingredient, Allicin, which kills bacteria, viruses and fungus, and must be consumed within an hour of breaking the garlic’s husk. Allicin has been shown to decrease total cholesterol levels while increasing levels of good HDL-cholesterol. If you don’t want to consume raw garlic do to the smell, which is understandable, Allicin caps are also available. Your mother was right—homemade soups like chicken soup are good for you when you feel a cold coming on. Most homemade soups are loaded with Potassium, which calms the nervous system and makes it easier for your body to heal. Fresh horseradish and chopped white onions—both rich in Selenium & Allicidin—can also be added to soups or broths to very good effect. A diet rich in alkaline foods such as fruits and vegetables is helpful to combat early onset symptoms of sickness. Fresh vegetable juices with plenty of greens are especially good, binding toxins and escorting them safely out of the body. I like to say: When you’re green inside, you’re clean inside. You’ve heard it said that five servings of fruits and vegetables are essential to your health? You’ve just heard it again. Taking 100 mg of Vitamin C every hour will bring down a fever. This essential nutrient improves our natural killer cells, which help fight off harmful invaders to the body. 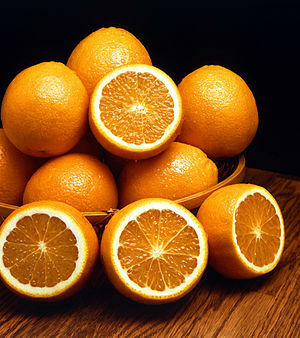 Vitamin C also brings down inflammation and functions as a powerful antioxidant, offering protection against infections. Coral legend is a nutritional supplement made up of 100-percent-ionized calcium and magnesium, which can be readily and completely absorbed by your body. Coral Legend helps establish healthy PH levels, improves the immune function and reduces fevers, which quickly consume the body’s supply of calcium. One teaspoon of Apple Cider Vinegar can also be useful to support PH balance. Most of us who are aware of homeopathic remedies think of Oscillococcinum®, a homeopathic flu remedy that’s widely marketed and distributed in health food stores. But there is a range of homeopathic flu remedies and choices that target specific symptoms, from fever, coughs, chills and body aches, to nausea, pain, sniffles and sneezing. Again, a simple 15-minute Zyto session can help me ascertain what your body specifically needs. I’ve linked to another article on homeopathic flu solutions below. Remember, although you may be able to purchase low potency amounts at a health store, it’s always best to come in to find out which homeopathic solution is best for you. It’s better to get the exact potency you need from a trained homeopath like myself as certain homeopathic remedies may not be applicable to your particular case—low potencies sold over the counter won’t harm you, but may not help you either. Specific spagyrically-processed herbal tinctures (administered by dropper) such as Core Olive Leaf, Core Cat’s Claw and Core Mycelia can be very helpful to avert sickness. These botanicals utilize the power of the entire plant to bring healing, offering prevention and natural protection against viruses and bacteria—great to have around during the winter months. Nutritional supplements are a great way to support your body’s immune system. Nucleo-immune, Multi-immune, Coriolus, Allicidin, Xeno-Force and Vitamin C are popular nutritional supplements designed to knock out a flu or cold. Other helpful nutritional supplements include Selenium, which offers antioxidant support against infection, Vitamin B (Max-B), which supports white blood cells and metabolic function, and Zinc, which protects the body against viruses and bacteria while repairing damaged tissue. Homeopathic composite remedies such as the Flu Tone, Viru-Chord, Vaccine-Chord and Throat Tone mouth sprays are go-to solution for flu symptoms. But Pneuma-Chord Core Myrrh, Core Sambuccus, Pneuma Ven and Sinus Tone are the preferred means of treating cough, lung-colds and sinus symptoms. It’s best to schedule a 30-minute Zyto session so I can ascertain your body’s specific requirements during flu season. Unheated raw honey with propolis is the favored remedy for sore throats. Mix a tablespoon of honey with the squeezings of an entire organic lemon. Take one teaspoon of the mixture every 10 minutes, drizzle it down your throat to bathe and coat your raw throat. What’s more, the honey will kill the bacteria and the lemon is loaded with Vitamin C, which is great for your body when you’re sick. You may also want to stock up on propolis lozenges and another mouth spray, Throat Spray Tone, which prevents germs from entering your mouth or throat. You can gargle with Celtic sea salt or Hawaiian pink salt, adding several drops of the Core Myrrh to achieve excellent results for your sore throat and cold symptoms. It’s very important to get seven to eight hours of sleep—anything less doubles your chances of contracting a bacterial or viral infection when exposed to it. Also, getting at least two hours of sleep before midnight increases your energy levels the next day. Let me know what you think, and please feel free to reach out to me at drsevensky@optonline.net to talk or set up an appointment.